The last info session will be held Wednesday January 9th at 11:00am in the Study Abroad Office (Schmitz 459). 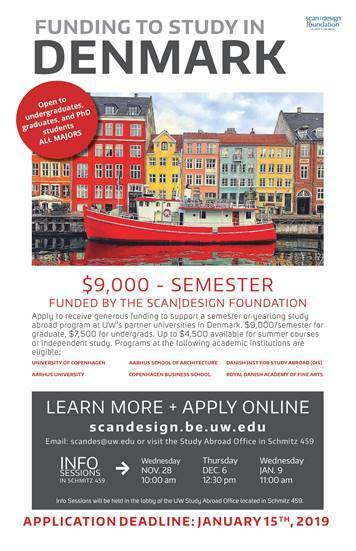 Please let your students know that it’s not too late to apply for funding and a UW study abroad program in Denmark. Applications are due January 15th.